We teach History, Geography, Design and Technology, PSHCE, Music, Art and Drama through a creative and themed approach as well as in distinct lessons. 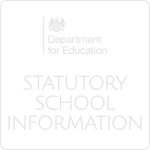 We update parents regularly on the topics covered across each phase. These subjects cover a number of activities and we are formulating a cross curricular approach to our planning, linking subjects, where possible to make learning relevant and fun. From time to time we have workshops for the children that may include a WOW Day, dressing up and using artefacts from a particular time in history. A geography topic may include a walk around our local environment to note its features. Music, Dance and Drama may involve an artist visiting school and working with the children. Children have the opportunity to learn to play the flute or guitar from Years 3 to 6, this includes an opportunity to attend a Music Camp and join an Area Band. We also take part in various Music and Drama Festivals where we sing and sign. We have regular contact with the Library Service and Road Safety Officers. Sport is part of our whole school curriculum framework and is taught within the time allocated. Like other curriculum areas, teachers plan schemes of work, which aim to enable our children to work towards National Curriculum Targets. From an early age Foundation children are provided with opportunities for physical play that are designed to develop skills in balancing, throwing, catching, climbing, running and jumping. As the children move through school, elements such as taking turns, cooperating positively with others and being a member of a team are encouraged. During Physical Education lessons Infant children concentrate on gymnastics, games and dance and swimming, whilst the Juniors take part in these as well as athletics and outdoor activities. We utilise our DfE Sports Funding by employing a Specialist Coach to work with pupils and staff across the primary age range. Each Tuesday, in addition to working with classes, our coach also organises targeted clubs at lunchtimes and after school. 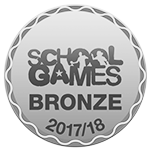 We work closely with the other schools in our Education Partnership and other local Sports Clubs or programmes providing a variety of sporting activities, both within the curriculum and as after school clubs. The pupils often benefit from the knowledge and skills of professional coaches. Towards the end of the Summer Term we hold a co-operative Sports Day where Infant and Junior children work together as teams to complete a number of physical activities. At Firbeck we firmly believe PSHCE is an integral part of the curriculum and we use the SEAL programme to deliver this important message to our pupils. SEAL (Social Emotional Aspects of Learning) offers a whole-school framework for teaching social, emotional and behavioural skills and is organised into seven themes which are covered over a school year. SEAL teaches the children to feel good about themselves and gives them the skills to cope with their lives and get on with each other. 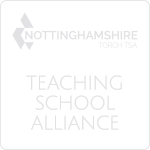 It brings the school together as a community and has a positive impact on break and lunchtimes so that the children always feel safe and happy at school. We believe that RE promotes the spiritual, moral, cultural and intellectual development of our pupils. It prepares them to make the most of opportunities, responsibilities and experiences they meet as they move through their school years and on into adult life. 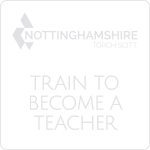 In common with other city schools we follow the Nottingham Agreed Syllabus. Children learn about a range of different faiths, including their beliefs and forms of worship, and learn to treat all with equal respect. The school is not affiliated to any particular religious denomination and we have pupils from a variety of faiths.